sold Our work was photographed today for the MassArt thesis catalog by artist and alum Clint Baclawski still life, acrylic, 6" x 6"
sold Today marks the fourth year anniversary of the daily painting project (or the fourth year anniversary of the daily painting title project - how many words are supposed to be in a novella? 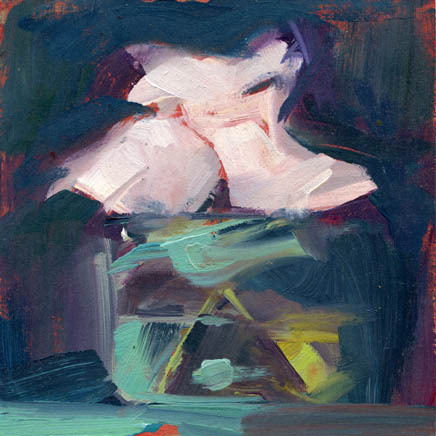 Maybe I could string together all my titles for one strange disjointed (or maybe not so disjointed) story. 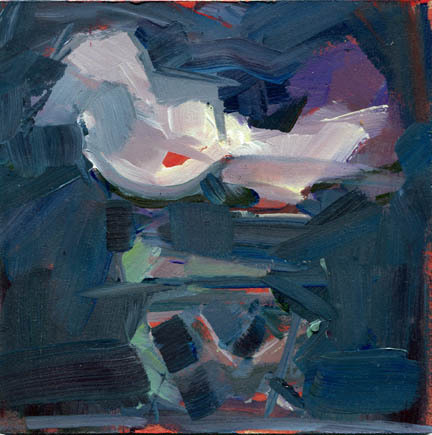 still painting, 6" x 6"
sold I just had my very last visiting artist review by Gregory Amenoff - now I have final reviews next week and then my thesis defense in September. 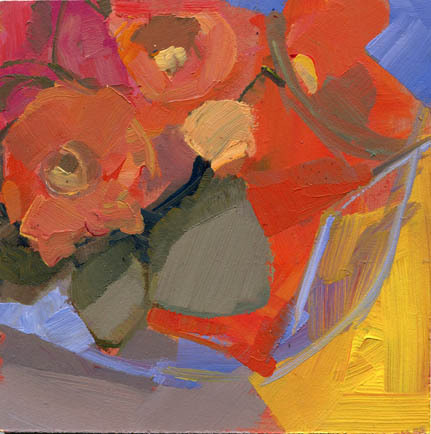 still life, acrylic, 6" x 6"
sold In today's class we conducted a sort of speed interview, in which we each asked our classmates questions about their work (or not) for ten minutes. 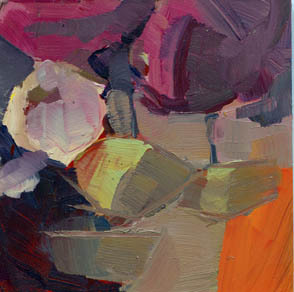 We weren't supposed to answer anything in this time, but rather simply record all the questions. 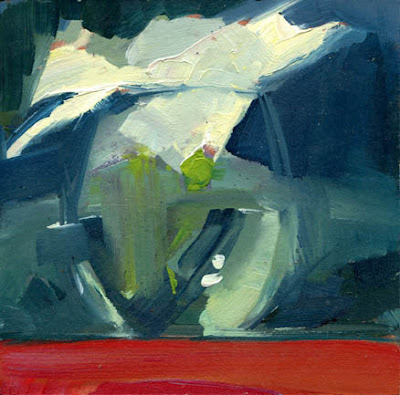 We'll take a few days to answer them and then present the interview in whatever format we want - video, performance. 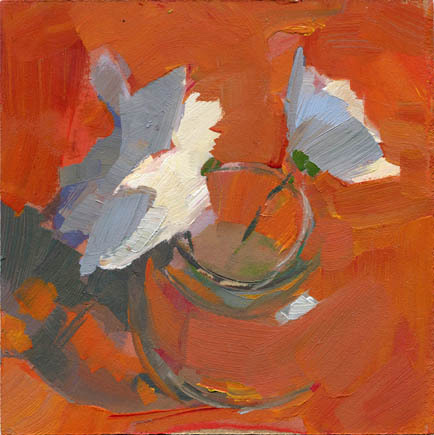 . . what have you (I'm aiming for Charles Kuralt style) - one of my favorite questions involved a fainting couch - still life, acrylic, 6" x 6"
sold Our homework for graduate seminar this week is to take 36 stills/images and put them together in a film or storyboard format - the sequence has to have a beginning, middle and end, be related to our work and also include 6 images of different media (and/or appropriated images) still life, acrylic, 6x6"
1450 And More. 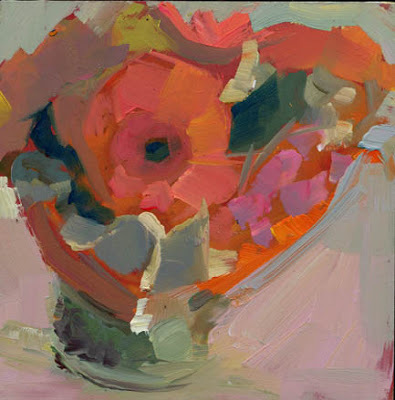 . .
sold Other News: The SAMFund turns 10 - Happy Anniversary! 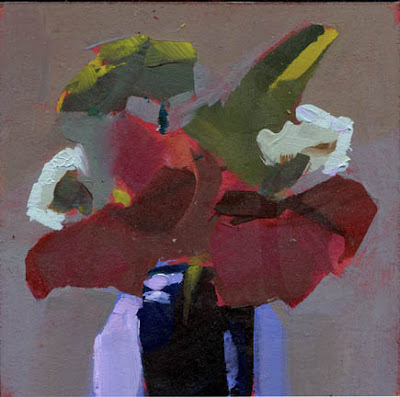 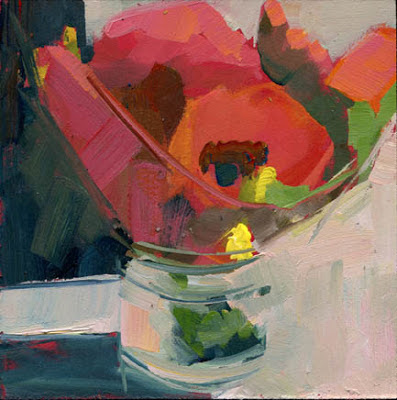 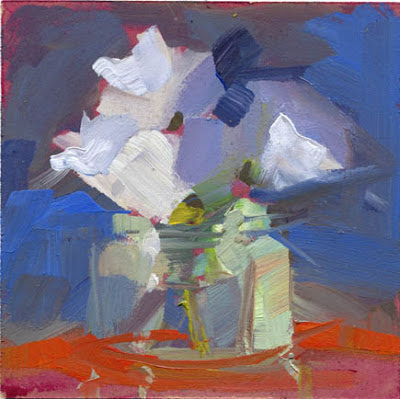 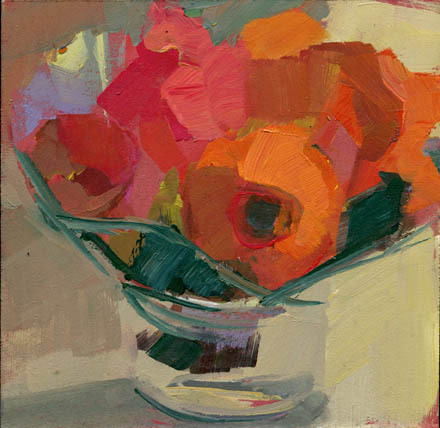 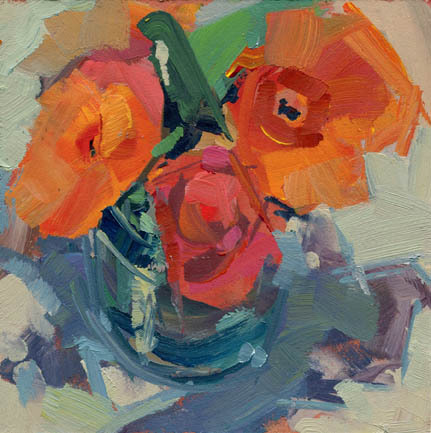 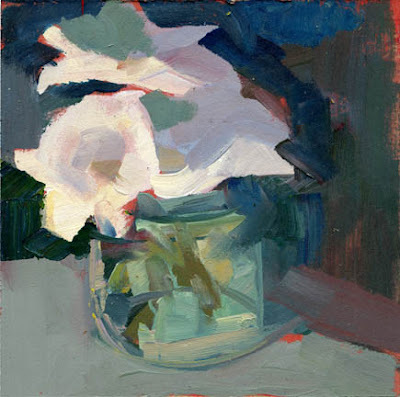 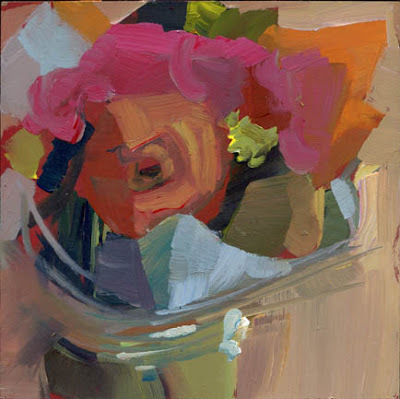 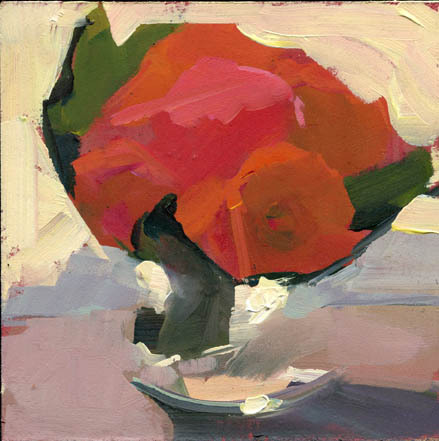 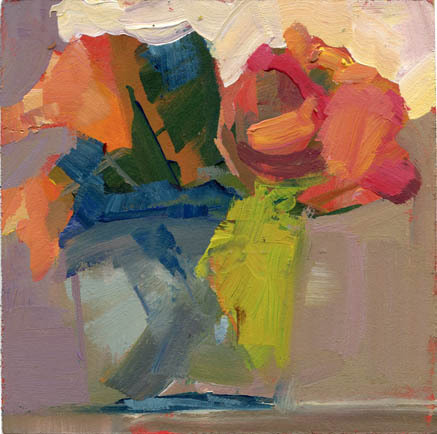 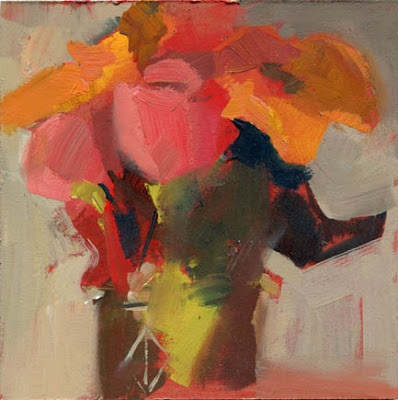 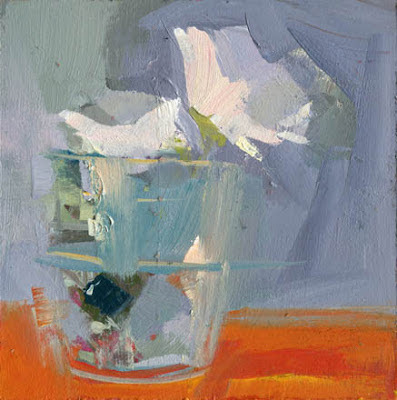 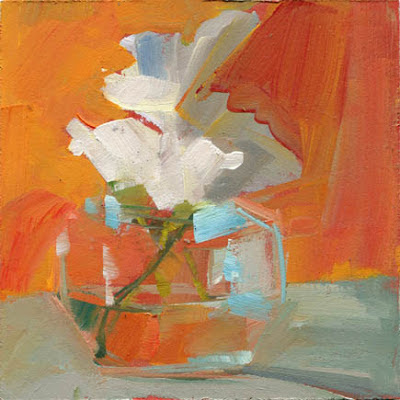 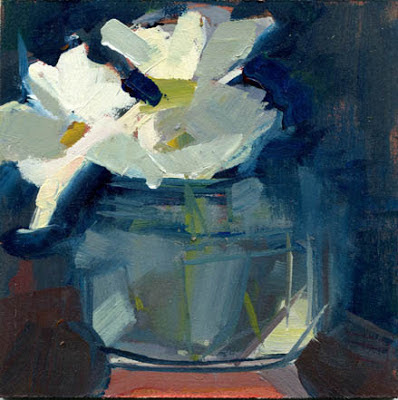 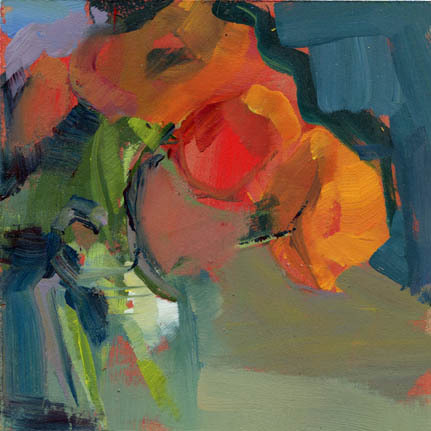 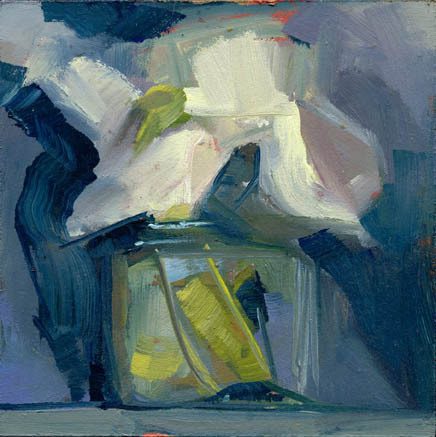 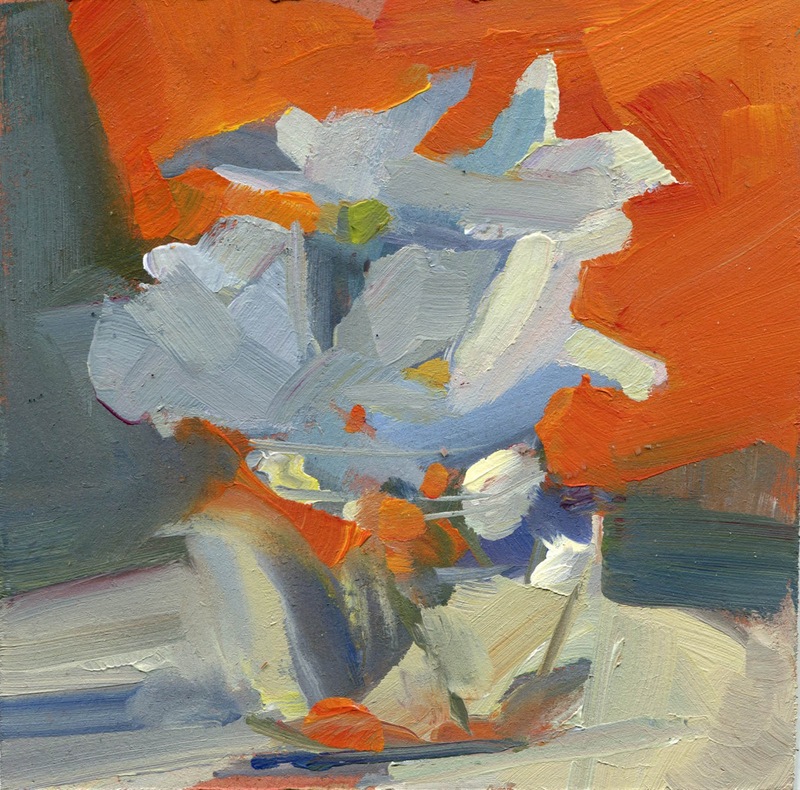 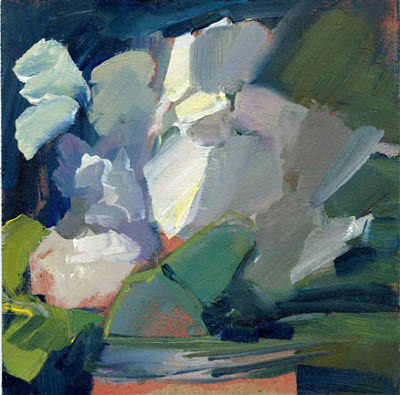 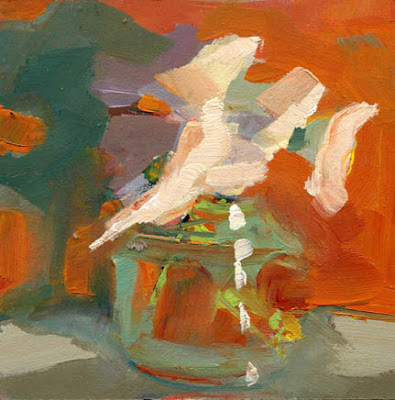 still life, acrylic, 4" x 4"
sold I was totally surprised this week when HGTV's Emily Henderson featured some of the daily paintings on her blog Style by Emily Henderson (click here). 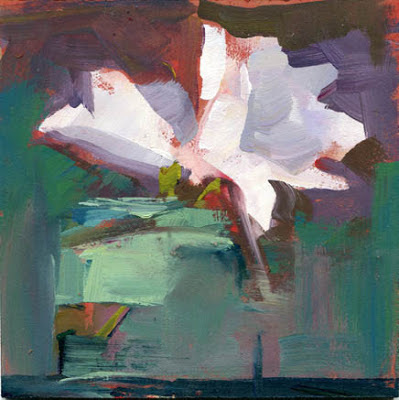 Henderson's profile reads, "Perfection is boring, let's get weird" Other News: Speaking of weird - have you ever heard the call of a Laughing Gull? 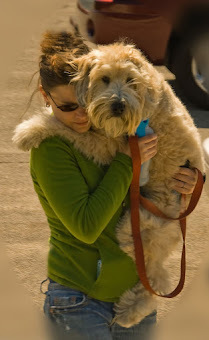 I did this morning at Herring Cove in Provincetown, it was right after I saw a coyote but before I ran into one of me and Brie's favorite people from home - (small world). 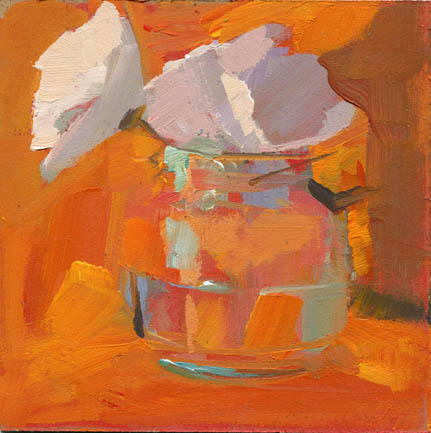 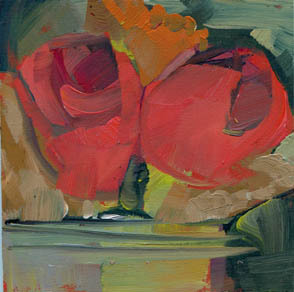 still life, acrylic, 6" x 6"
sold My last residency begins at four o'clock today. Before that I'll set up my studio for reviews and check into the place I'm staying (which means unpacking the car that I just packed or rather am almost done packing, just a few more things to wiggle in there). 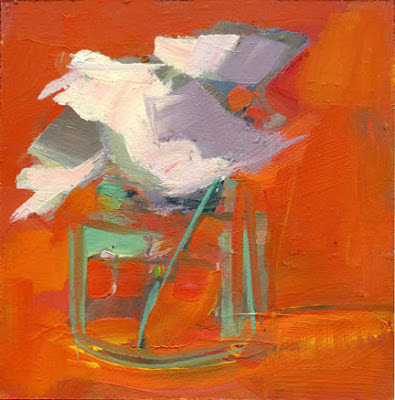 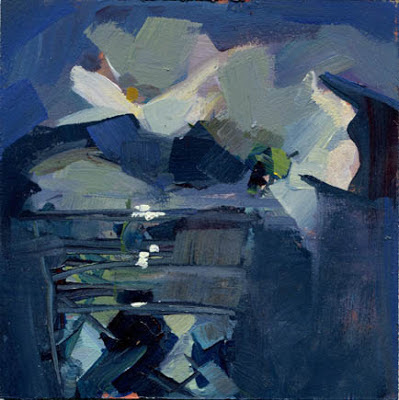 still life, acrylic, 6" x 6"
sold The car is somewhat packed - Brie the dog, sat in the passenger seat offering no assistance as I arranged and rearranged the canvases. She enjoyed the ride even though we were at a standstill. 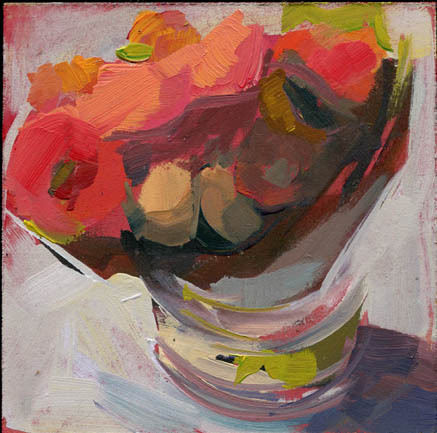 still life, acrylic, 6x6"